Admin Edit: This is a general Nintendo rumor discussion thread. Do not turn this thread into an indefinite Nintendo Direct countdown thread or a Pokemon rumor thread, or we'll be forced to lock it. Furthermore, do NOT post new rumors in this thread. Anyone that wants to post new rumors can create their own threads. -Do not attack leakers for being wrong, personnal attacks are not tolerated and even the best leakers are wrong once in a while. -Refrain from posting new leaks/rumors here. This is an archive. Please post new leaks on their own threads like it has always been done. After they have been posted on their relevant thread and a moderator has allowed it, then it can be archived here. This is done to avoid cluttering the thread with a bunch of unreliable rumors. You can PM me new rumors tho (with a source). -Absolutely do not post any Nintendo Direct rumor, or ask for updates about them, or hype, or "reset the clock" posts. If you have a credible Direct rumor, then make a new thread for it. -Avoid posting Pokemon rumors, specially Pokemon starter rumors. Most are usually fake, and if you have a credible Pokemon rumor, then make a new thread. -Do not post Smash Bros rumors. If you have a credible Smash Bros rumor, then make a new thread. -When contributing current or old leaks, please provide a SOURCE. -Only Switch leaks will be accepted so far. It might spill into 3DS/Mobile too if the rumors are related. -Only leaks from credible people/websites will be posted. In the case of unknown/regular users or sites, the leak will be added after a moderator has verified the user is in a position to get insider knowledge, or after the general community has vetted if it's plausible. -No 4chan rumor will be posted until it has been verified after-the-fact. -For old leaks, I will also accept the ones that are now known to be incorrect or fake, as long as the source is someone that has/had a good reputation or from a credible website. So yes, any Emily Rogers, Laura Dale, 10k, Supermetaldave, Liam rumor that turned out to be incorrect will be posted. I've always been fascinated with how some unlikely games can be rumored for months, then be totally forgotten, only for the game to be eventually announced. So, I've always wanted to have a central place where you can keep up with the current accepted leaks/rumors, and also look back at when/who/where leaked something, and when or if it came true. In order to keep track of the reliability of the people spreading the rumors, I decided to highlight a select few numbers of them that prove themselves very reliable/unreliable. Once a source is in the unreliable category, I'll stop archiving their rumors unless they prove themselves reliable enough in the future. Regarding the very reliable category, I am basing myself on the volume of rumors and their accuracy. I am starting with some strict minima but we'll see how it'll evolve with time. -[5th] LeakyPandy states that we'll get info about DQXI S and the next Mothership Tales of before Christmas (Source) (Source) *Mostly correct <- the first trailer of DQXI S is shown on December 22th and a Tales Of game was announced for mobile. If you don't want this thread locked, please read post from moderator ZhugeEX about what to post on this thread. Credits to ReyVGM for past thread and the initial idea. *Thanks to ERA Tim Aza for the awesome thread graphics! And thanks to everyone that has contributed to the thread. -[12th] King zell teases something "animals" related and Eurogamer's Tom Phillips teases something "crossing" related for the Sept 13th Direct. 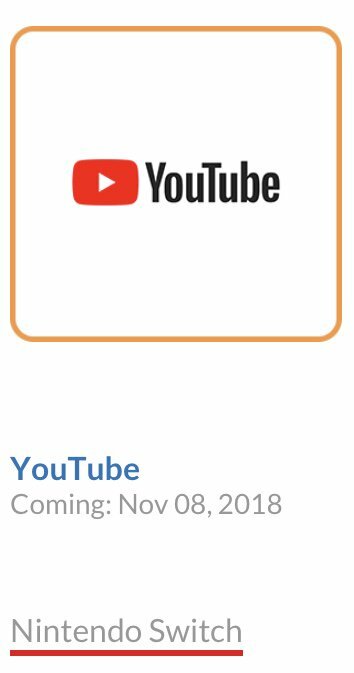 (Source) (Source) *Confirmed <-- Animal Crossing is announced in the Direct. -[9th] In light of John Harker's claims that there's a new Star Fox in development, and Emily's claims that Retro is working on an IP in a different genre that what it is known for, Twitter Liam Robertson posts a blurry picture of a Star Fox Command ending where the characters join a "G-Zero Grand Prix" race. He then deletes the tweet and claims it was a joke (Source). Then DasVergeben posts on Reddit and GameFAQs that Retro is working on a Star Fox racing game called Star Fox Grand Prix which will have adventure elements like Diddy Kong Racing, and will have a hub area (Source). -[26th] Twitter Pixelpar, in a well crafted series of tweets, teased a "Thursday Direct". It was a week early, though. (Source) *Partially correct. -[9th] Nintendo posts a series of cryptic tweets, seemingly in response to Resetera's January Direct speculation thread (good recount of the events here). Gamestop also tweets about the Nintendo Direct, but deletes it right away. -[11th] ERA mocolostrocolos claims there's a new 2D Metroid in development (Source). Same user said in April and June 2016, a year before the game was announced, that there was a Metroid 2 remake coming to 3DS. Also claimed in January 2017 the 3DS game is not being made internally at Nintendo. -[20th] LauraKDale posts a list of 1st-year Switch titles she knows about. (Source) *Incorrect in many parts, correct in others. -[18th] Eurogamer claims the Switch will get a Pokemon Sun & Moon version, dubbed Pokemon Stars. (Source). --> A new Pokemon "core-RPG" game was announced for Switch at the 2017 June E3 Direct. *Incorrect as a Sun/Moon version. -[26th] 4chan user claims a new Monster Hunter Portable is coming. (Source) (Source) OP Note: This rumor is only here because the user correctly leaked other MH games. -[20th] The Switch is revealed in a trailer announcement. Hybrid system, detachable controllers, uses cartridges. -[13th] Gameblog claims lots of remasters are planned. Skyward Sword, MK8, Splatoon, Smash, N64 and Wii games (Source). --> Mario Kart 8 Deluxe was released, Splatoon turned out to be a sequel. *Correct in some parts, incorrect in others. -[3rd] EmilyRogers claims Mother 3 will release outside Japan in 2016 (Source). Eurogamer confirmed her claims (Source). *Incorrect OP Note: This is an old Wii U rumor, I'm only posting this because too many insiders confirmed it, and the game could have very well been moved to Switch's eventual VC-like service. Also, I think it would be interesting to have like a quote tag (which will not show everything at first) with the REST of the rumors. Because theorically every leaker is unreliable till they suddenly is. And to laugh at how bad some of the self proclaimed leakers are. I reserved the following posts because I'll probably run of place in the first posts at some point. The Witcher 3 has been removed, no? Doesn’t mean it’s not happening. What it does mean is if The Witcher 3 doesn’t get announced for Switch soon ish, then this wholesaler loses credibility in terms of leaks. Someone with more knowledge than most of us said we'd be surprised with what's coming for switch. He also said that he didn't have information about the Witcher 3, but the fact that he didn't outright dismiss it as impossible is telling about the fact that games of that caliber could be ported to the switch down the line. If not Witcher 3, others, I guess. New thread, new hype. Best of luck Lelouch0612! Thanks for doing this, much appreciated! DQB2 is 3rd party and multiplatform. Is Switch even lead platform? Based on rumors, the storage of the cartridges is probably the main issue with third party games, not necessarily if the console can run a certain game decently. Now, I remember getting a sandisk 32GB micro SD card in mid 2017 for the price of a sandisk 64GB micro SD card at its current regular price. Aren't they using a similar technology to Switch's cartridges, which would mean the cost of cartridge manufacting should have drastically go down? Didn't go into detail because I don't have enough knowledge about it, but a 32GB Switch cartridge today costing the same as a 16GB cartridge did in 2017 would seem right to me. I hate when games come incomplete. Jumping in to say that this is a good thread and I’m excited to see what goes down over the next year. 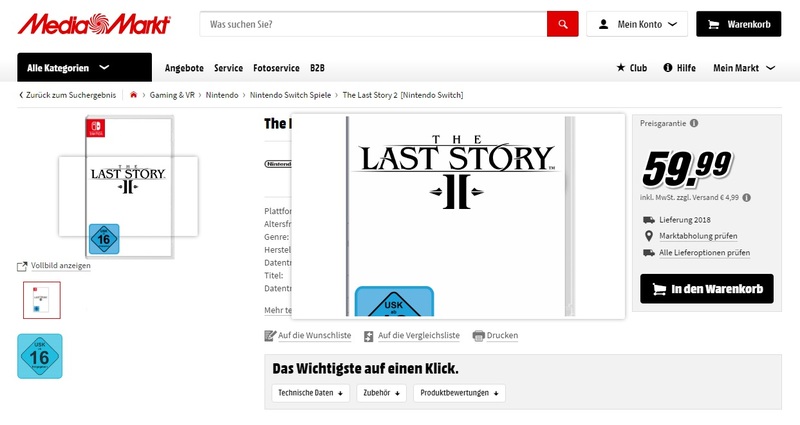 The wholesaler that listed Witcher Switch als has Assasins Crees 3 and liberation remaster listed for Switch. Vita games actually used flash media (4GB EEPROM) btw and were even more expensive as a result. Flash isn't inherently cheaper, SD cards specifically benefit from massive production driving down cost (economy of scale). Nice to see the thread up! Alright, thanks! That seems... more expensive than what I had in mind, though. I guess the cartridges will last yeeeears. We'll see if it pays off. Nice! Was missing these updates. Yes Mask ROM lasts longer than EEPROM, which has a shelf life of only 10-15 years on average. This is going to be an issue for Vita collectors longterm. Awesome work rebooting this guys! Will watch with keen interest. Read the admin note in the OP please. Why are Sellars and LeakyPandy in the archive? They aren't leakers. They were once thought to be, so it’s good to have their fakery be known. What exactly did this person say? Almost nothing is known about third party lineup except few stuff like MK11, Crash Tag, Saints Row and some PS2 era remasters. I'd love to hear some hints from people in the business, I want to get excited about Switch's future. Games like Yoshi or AC don't do anything for me. 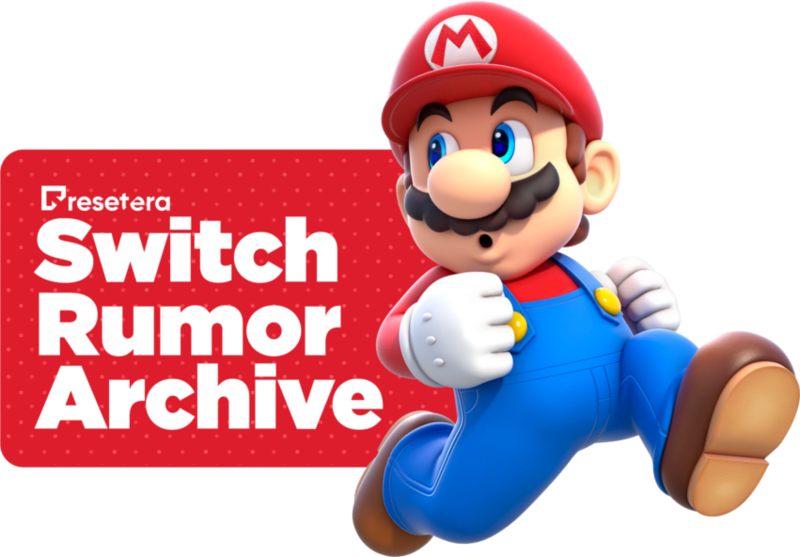 I'm paraphrasing but he said that a lot of people would be surprised by what's gonna release on switch in 2019, without giving further details. As this was in the Witcher 3 thread, in the middle of a pointless discussion between armchair developers arguing wether or not the port was technically feasible, I would guess that he was referring to technically ambitious games. There has been strong hints toward some Platinum releasing next year, though I doubt those qualify as AAA. Hopefully we'll get other surprises. For whatever reason my money is on The Division 2 since a few months. Wither 3 coming would be nice, because it would definitely put an end (and a positive one) to the discussions surrounding the switch's capabilities to run any modern game. But I really do not expect this listing to be accurate.